Celeste, Spread Editor, is a junior astral projection novice. Devoting countless hours to a school sport is a major commitment for any student— especially when paired with maintaining grades and friendships. Nevertheless, many CHS athletes have enrolled in school sports for all three seasons. One of those dedicated “Iron Jags” is junior Gabby Adams. Juggling basketball, soccer and track, Adams has a lot on her plate. A balanced agenda becomes one of the most important things for any three-sport athlete, and it’s important not to get overbooked. Keeping up with one sport, not to mention three, can be pretty tough at times. There are practices five times a week, games, less time for homework, sharing practice spaces with other teams and the stress of competition that can all take a toll on a student. However, despite her busy schedule, Adams encourages all student-athletes to stick with the team, even when keeping up with sports gets difficult. School sports allow for students to make friends, have time outside of school to destress, and to get involved in extracurriculars. “It’ll definitely be worth it in the end,” she said. Friends can make playing sports a lot more fun, too. 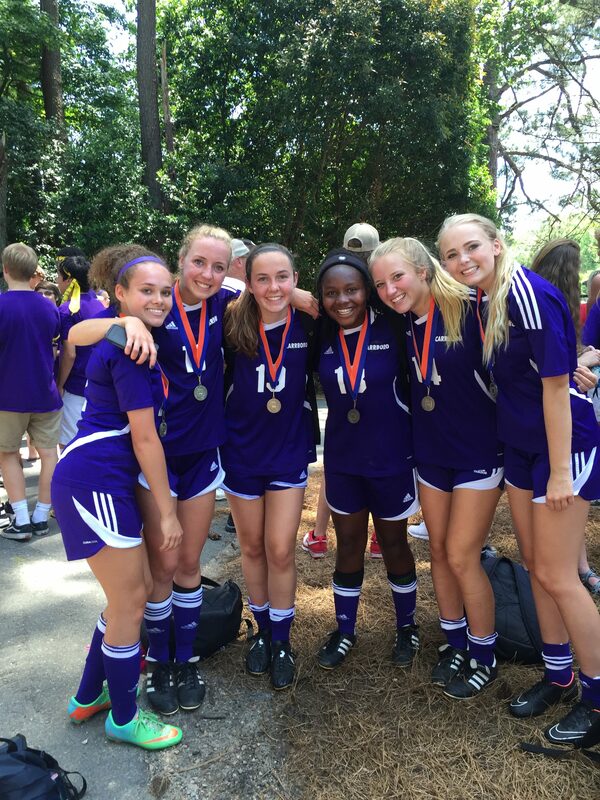 A lot of Adams’ motivation to keep going comes from Coach Clanton and the seniors on her soccer team. “[The seniors] have been really nice,” said Adams. She also finds that participating in multiple sports has its benefits. Adams feels a sense of commitment, which helps with life outside of school. “Players have to learn to multitask, and there’s a strong sense of community within the teams,” said Adams. Naturally, many sport teams are known for the camaraderie between players, and nothing brings a team together like game day. Finally, all the hard work pays off. Everyone comes together to make it work, and a season’s worth of practice is put to use. With all the hard work student-athletes are doing, they need to be able to relax and have fun, especially when getting into the game day mindset. At a school game, you might catch Adams listening to “The World’s Greatest” by R. Kelly to get ready for the match. Despite the grind, school sports have a natural appeal. Whether it’s the camaraderie, the victory, or the workout, CHS students are very passionate about their teams—and three-sport athletes prove it. As more and more members of the so- called “alt-right” begin to emerge and gain positions of power, many skeptics are beginning to question where the line is between radical right-wing beliefs and neo-Nazism. Because of Nazism’s negative connotation, modern day proponents have found a way to endorse their views without restrictions. The alt-right provides a cover for neo-Nazis to congregate, tyrannize and condition the views of others. Blatant anti-Semitism, racism, nationalism, homophobia and ableism are just a few of the beliefs held and acted upon by Nazis and neo-Nazis alike. Anyone who actively shares the ideas of the Nazi movement could potentially be a neo-Nazi. Affiliates of the alt-right have followed the group’s informal founder, Richard Spencer, in cleverly masking their prejudice as a legitimate political view by backing offensive statements with bureaucratic armor. Although the title alt-right only emerged recently after Spencer coined the term, its sentiments date back centuries. Spencer has been filmed speaking at an alt-right rally, saying “heil Trump,” met with cheering and Nazi salutes from the crowd. Just as with any other organization, anyone who identifies with the alt-right is subsequently identifying with its founder’s ideas and actions. Clearly, this particular organization was born from a place of hatred—as established in Spencer’s speeches and articles. To add insult to injury, people are falling for it. Neo-Nazis are now able to excuse their ideologies by presenting them as political views, protecting them from the appropriate response and criticism. With a political veil, it is more difficult for one’s ideas to be dismissed as pure bigotry or for actions to be punished as hate-crimes. Instead, neo-Nazis are being given platforms to spread their ideas to others without shame. The spreading of these ideologies is having tangible effects on real people. As we have seen with Trump’s administration, when members of the alt-right are elected, they are granted the power to create and alter policies and legislations. These policy-makers have a great deal of influence over top officials, including our president. A great example of these powerful “alt- right” influencers is the infamous Steve Bannon. Because of his position in the White House, we end up with even more discriminatory executive orders such as the maligned ban on travel from seven majority-muslim nations. It is time to be honest about the ideologies informing the alt-right. Pay Our Teachers First (POTF) is working to get North Carolina to put more tax money into public education. At the helm of it all is co-founder Deborah Gerhardt. Gerhardt became invested in the issue of teacher pay after her son’s beloved language arts teacher left Culbreth because of budget cuts. Gerhardt decided to look into the cause. Once she learned how much teachers in the state make, she had to get involved. “I was shocked, ” said Gerhardt in a phone interview. Gerhardt’s article, “Pay Our Teachers or Lose Your Job,” published in Slate Magazine, was one of the first accounts to draw attention to the low teacher salaries in NC. The article also detailed her involvement with POTF and served as an introduction to the subject for those with minimal background information. Soon after Slate published the article, people could find red “Pay Our Teachers First” T-shirts all over the triangle. POTF also held a town hall meeting at Culbreth in 2014, with thousands of people viewing an online video of the town hall. The group gained traction because of their ambitious goal: to decrease the high numbers of teachers resigning in NC by increasing teacher pay. Teachers saw a 15 percent salary decrease from 2003 to 2013. A large portion of state taxes are going towards Medicaid, and POTF advocates channeling more of the money back into education. Currently, POTF is attempting to gain traction within the NC House with regard to state-level education laws. The organization also collaborates with general assembly member Graig Meyer, as well as other members of state legislature, on a project aimed to educate the community and support local teachers. Partially due to the group’s efforts, more families in the state acknowledge the relatively low salaries in the area and how low salaries can drive their kids’ teachers away from their jobs. 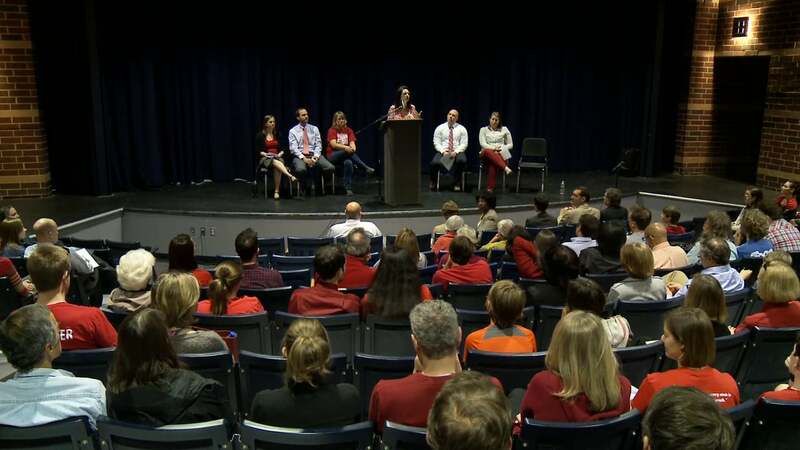 “We want [teachers] to know that we understand how hard this is for them,” said Gerhardt. Although POTF thinks more awareness and a new state governor may mean change for NC education, the organization believes there is still plenty of work to be done. Gerhardt encourages any students with free time to get in touch with the organization. When asked to choose between legal and illegal protests, the answer seems clear. But looking further, there’s a much more complex rationale for civil disobedience than meets the eye. From a historical perspective, almost every successful movement has required activists to display defiance both legally and illegally. This is clear when looking back on riots during the civil rights era, where we tend to view unlawful protesters as brave revolutionaries. Sit-ins, road blocking, and other illegal demonstrations from the past are seen favorably now– so why don’t we view those who are doing the same thing today in a positive light? Most people would agree that self-defense was a necessary measure during segregation and slavery. Protesters today are being lead by these same values, but we tend to look down upon their right to defend themselves and their liberties. 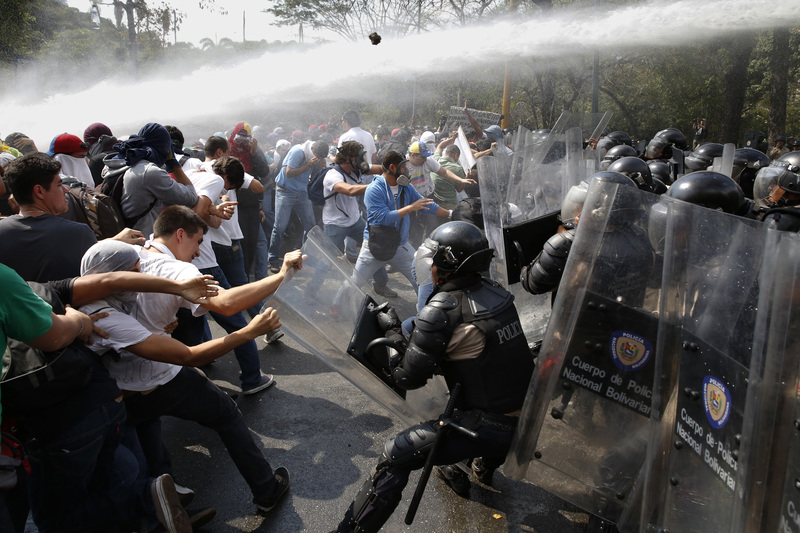 Centuries of protests and riots have proven that often times those trying to make a positive difference are the ones punished for their civil disobedience, rather than those who initiated the unrest. There is an implicit double-standard of keeping the peace in times of conflict. This trend of reformers being consistently looked down upon by other people of their time is shameful. Only after a widespread movement and change in society are these people praised—and by then it’s too late. Although unlawful action is never preferable, it can be a necessary measure when attempting to reform systems and institutions. Creating unrest now has the potential to save thousands of lives in the future. On August 29, Hillary Clinton released a plan to integrate a stronger mental health system within the US. According to Clinton’s website, the plan consists of six main points containing specific plans for implementation. She also pledges to hold a White House conference on psychological health if elected president. Debates between Clinton and Trump have dominated the media this election, and some argue that policy issues such as the mental health plan have been lost in the chaos. The plan prioritizes six main goals: prevention, community treatment, treatment options over punishment, equality in mental health, housing and job access and psychiatric research. Each goal contains specific applications and examples. 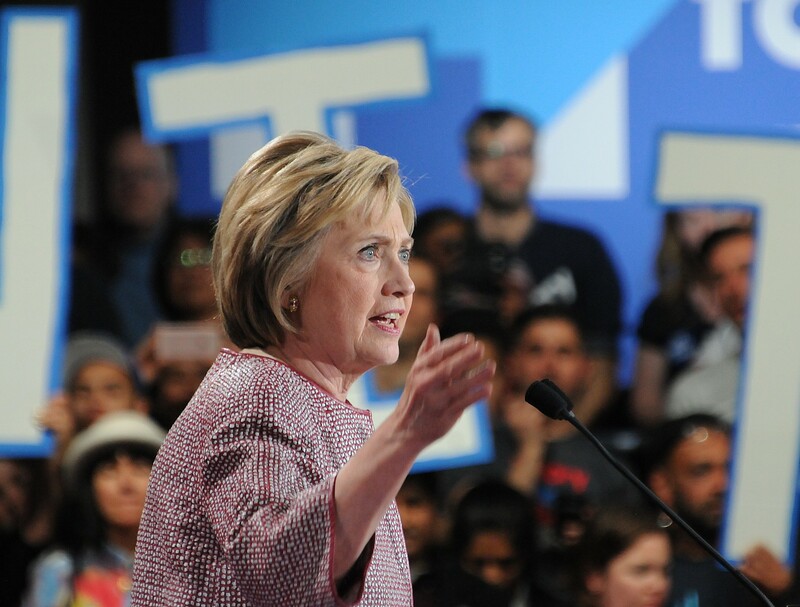 A major part of Clinton’s plan emphasizes mental illness within schools and contains specific goals to ensure education along with mental health care for young people. Such concerns within CHS are part of a bigger issue: “17 percent [of high schoolers] considered attempting suicide in the last year, with 8 percent actually attempting it,” said Clinton’s campaign website. Mental Health America’s website ranks North Carolina as the eighteenth best state for adult mental well-being. But this number falls to 36th for NC’s youth population. The candidate’s plan specifies the need for students of color and LGBT students to receive care. Since they often go without proper psychological help, these pupils are at a higher risk for suicide than others. Clinton aims to teach future generations about the importance of mental health and prevent mental illness early to lessen the need for aid. This includes a suicide prevention initiative, which specifically targets suicide in high school and college. Another major part of Clinton’s new policy is enforcing clinical treatment for offenders with mental disorders. She proposes a plan to educate police officers in mental illness response, as well as to prioritize help for non-violent lawbreakers rather than punish them. According to Clinton’s site, over 50 percent of convicts have mental health issues. Even more convicts fit the medical standards for addiction. She intends to lower these statistics by reducing mental disorders and the number of non-violent incarcerations. Although this new agenda is barely spoken about, it could have a major impact on the lives of mentally ill people and the future of the criminal justice system. Clinton addresses her supporters at her rally. Photo courtesy news-photos-features.com.